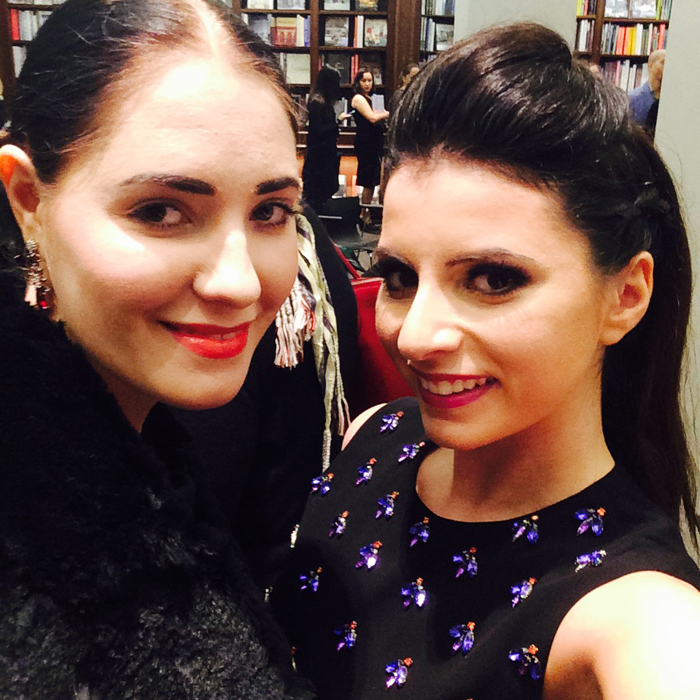 The Style Socialite - A Fashion/Society Blog : Holiday Makeover At Caravan Stylist Studios + Dita Von Teese Book Launch! 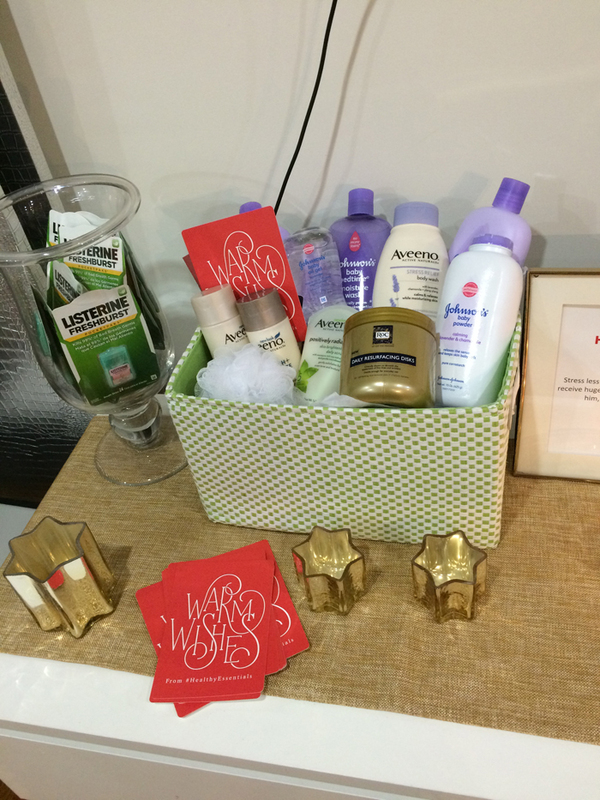 Holiday Makeover At Caravan Stylist Studios + Dita Von Teese Book Launch! 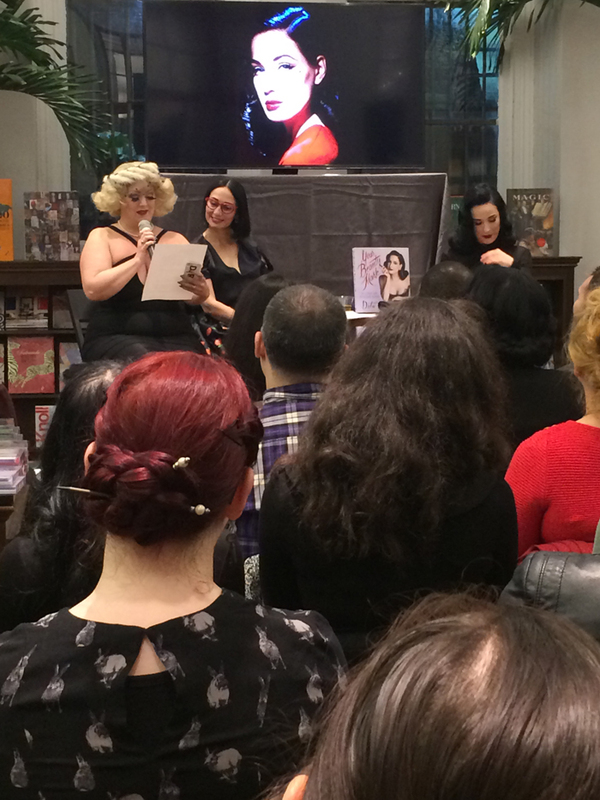 I had a chance to get glammed by the incredible team at Caravan Stylist Studios for Dita Von Teese’s book launch. 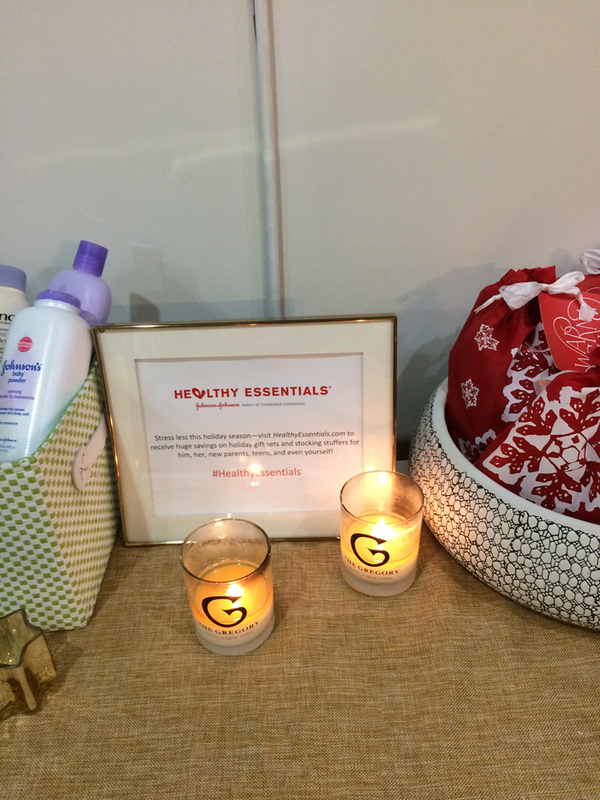 The Caravan team put together a special Healthy Essentials beauty lounge for influencers to get ready for Holiday parties. 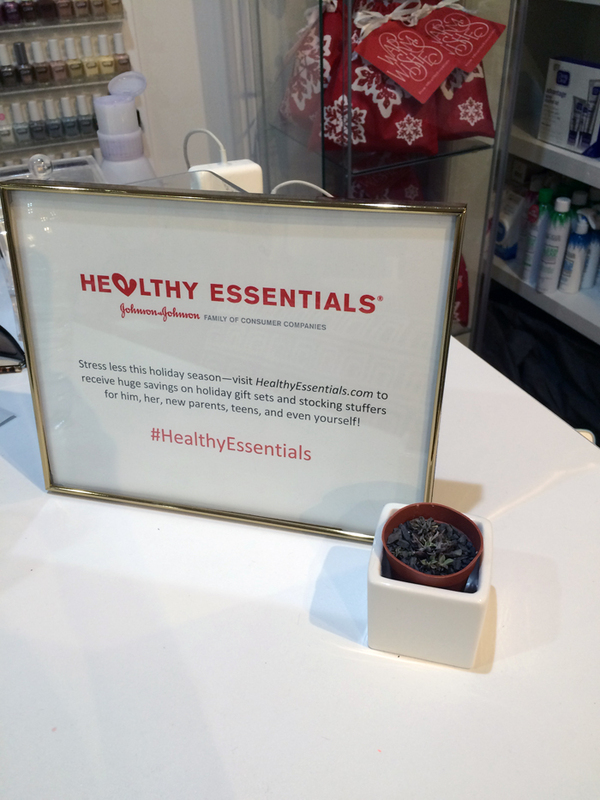 The lounge was filled with amazing beauty and health essentials from Johnson & Johnson. 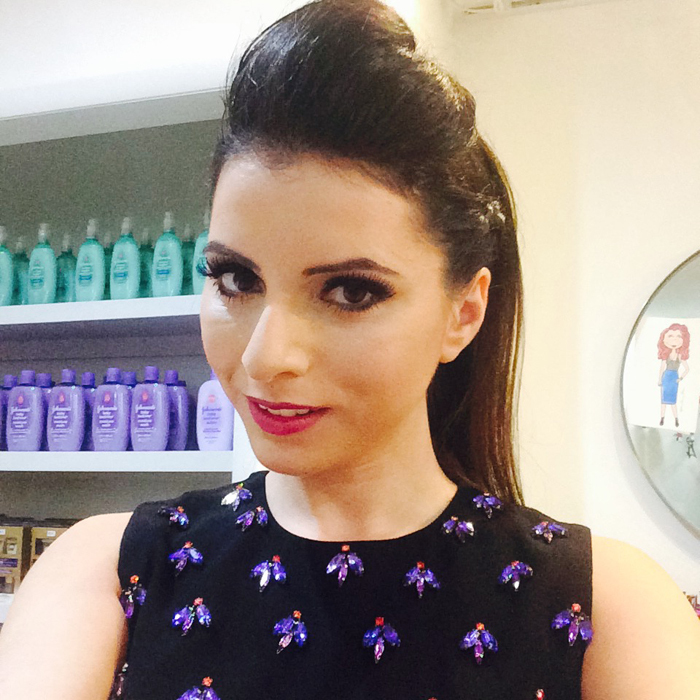 Caravan Stylist Studio is an influencer hub with a full service hair, makeup and styling wardrobe studio. By pairing designers with celebrities, artists, and influencers through creative events, photo shoots, and more Caravan creates buzz and grows recognition for unique brands. 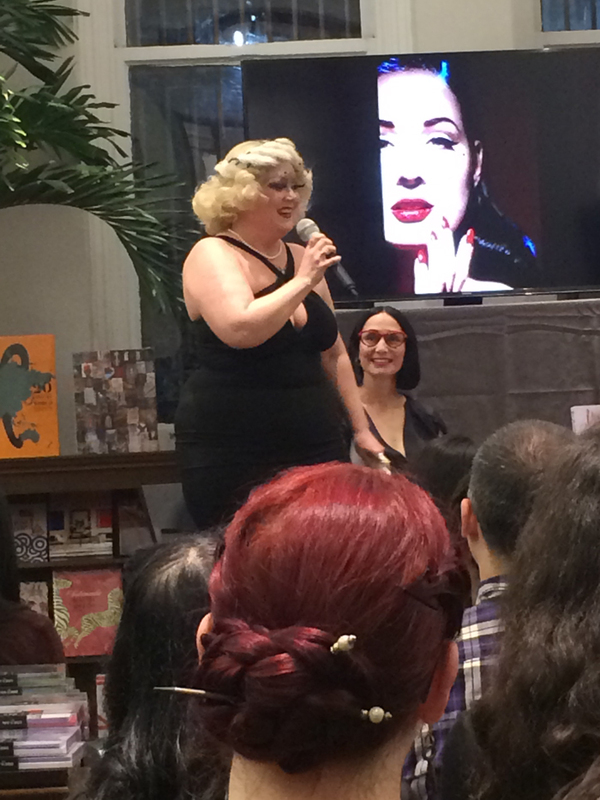 I had a chance to get my hair, makeup and manicure done for Dita’s event by the incredibly talented Valerie Star from Caravan Stylist Studios. 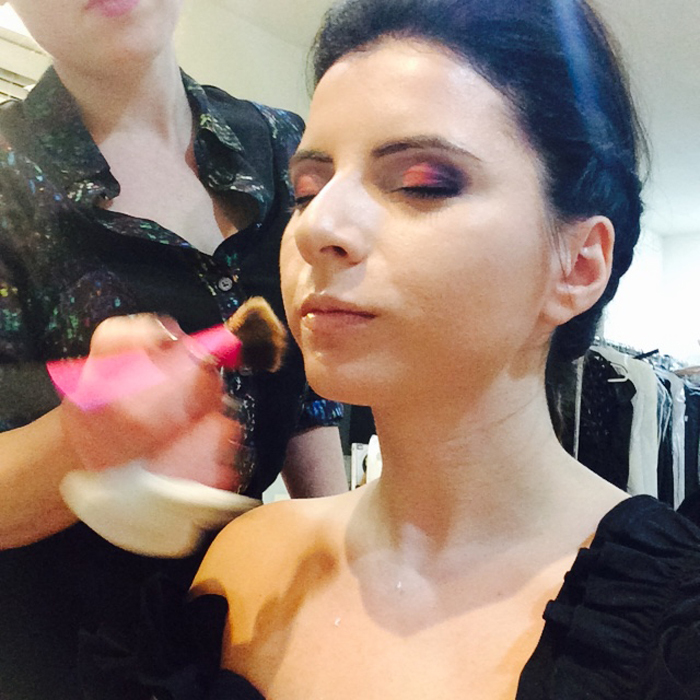 It’s always such a privilege to have Valerie glam me over. 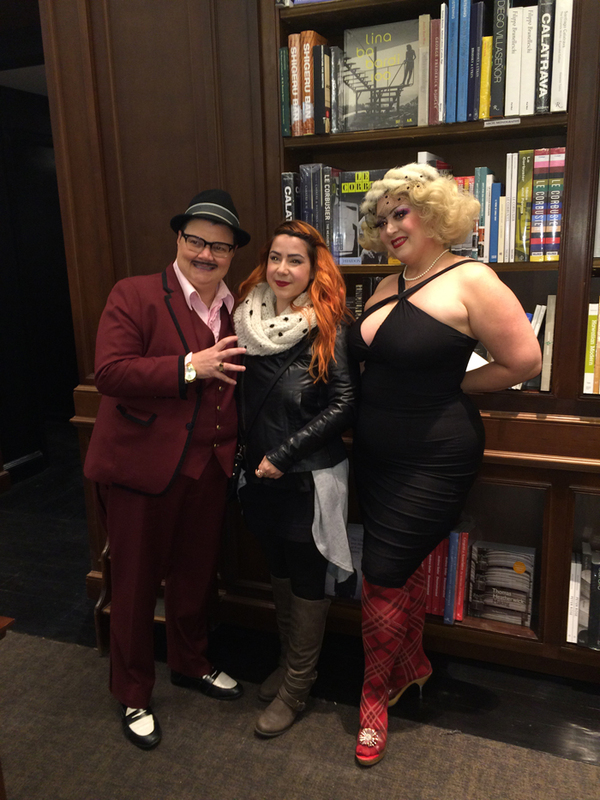 Each time she effortlessly transforms my look accordingly from a gala socialite theme to an edgy Dita Von Teese guest. As always Valerie carefully considered what I would be wearing that evening as I showed her my black and blue feather dress. 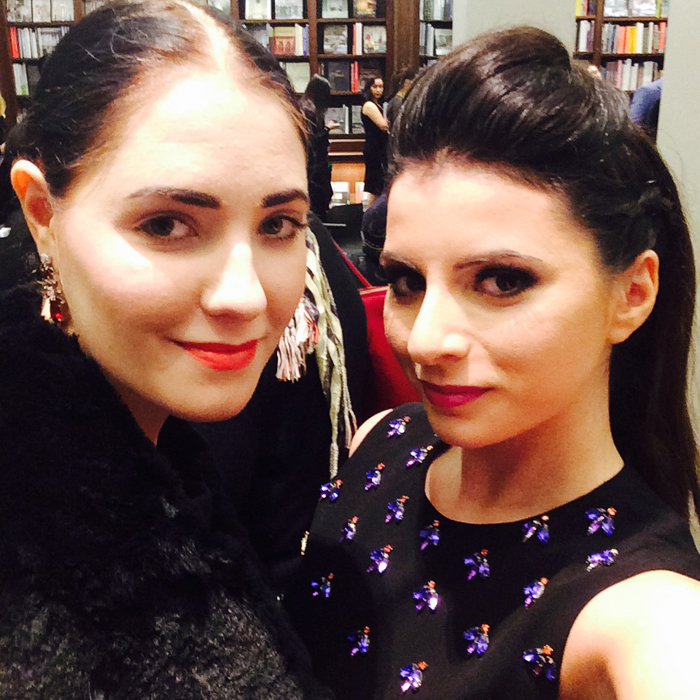 With every stroke of her talented hand she created the most brilliant Holiday x edgy look for me. Valerie matched a lovely shade of metallic green by Color Club to my dress and applied it for my manicure. 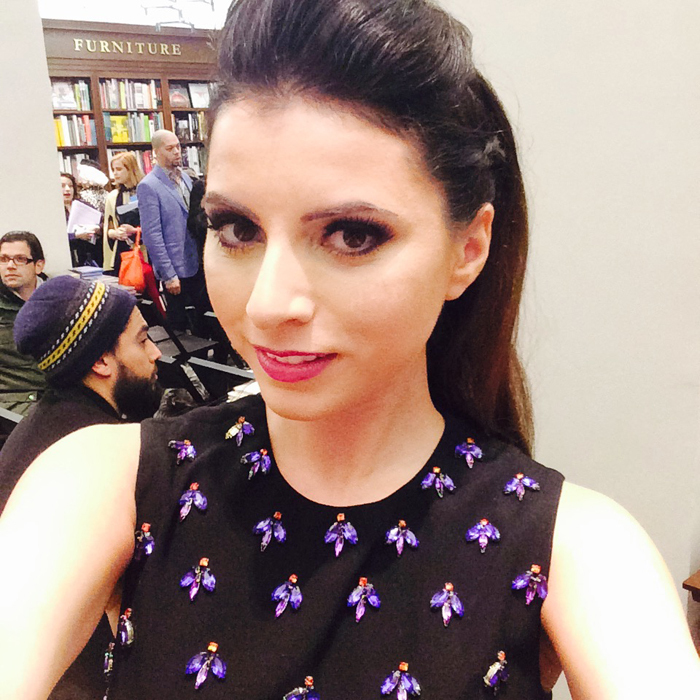 I was completely in awe of how beautiful my makeup looked when Valerie was finished. How amazing were the fake eye lashes?! 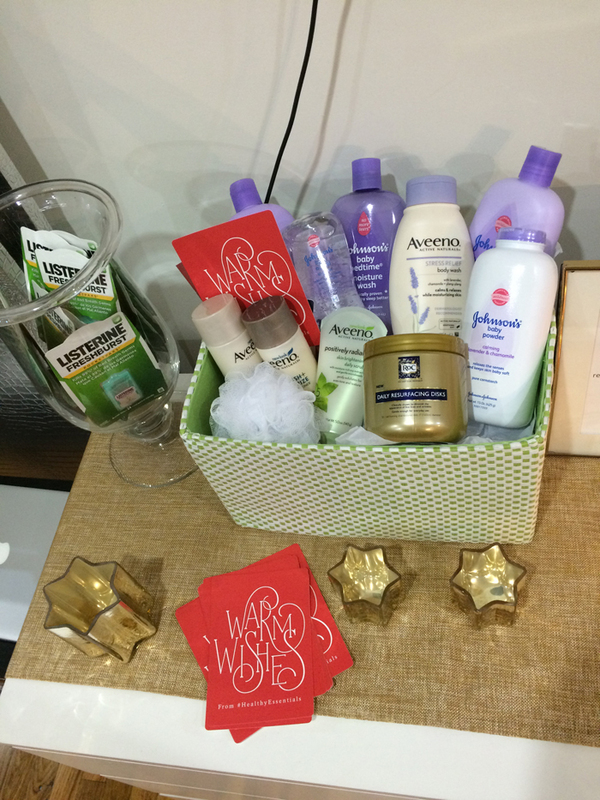 After my makeover I took a tour around the beauty lounge to see the new Johnson & Johnson products that were showcased. 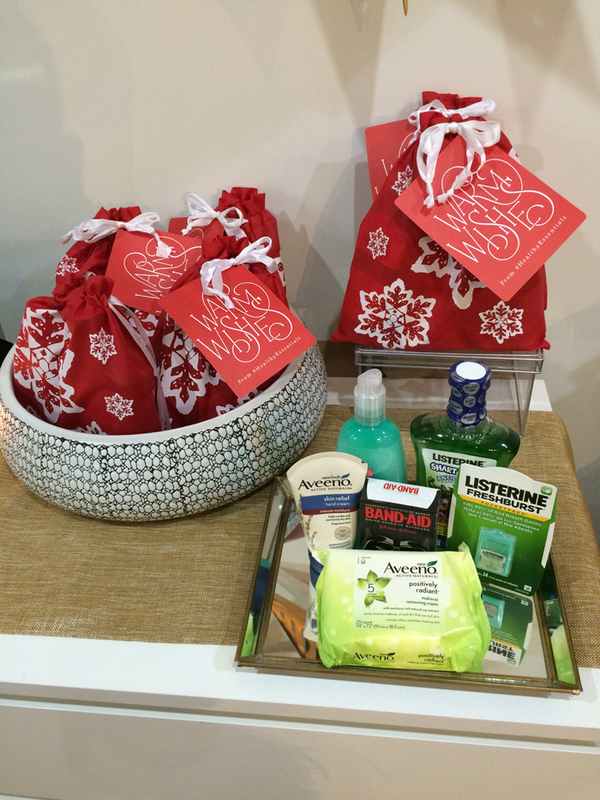 Caravan was gifting these lovely Warm Wishes holiday bags with Holiday Essentials from Johnson & Johnson. 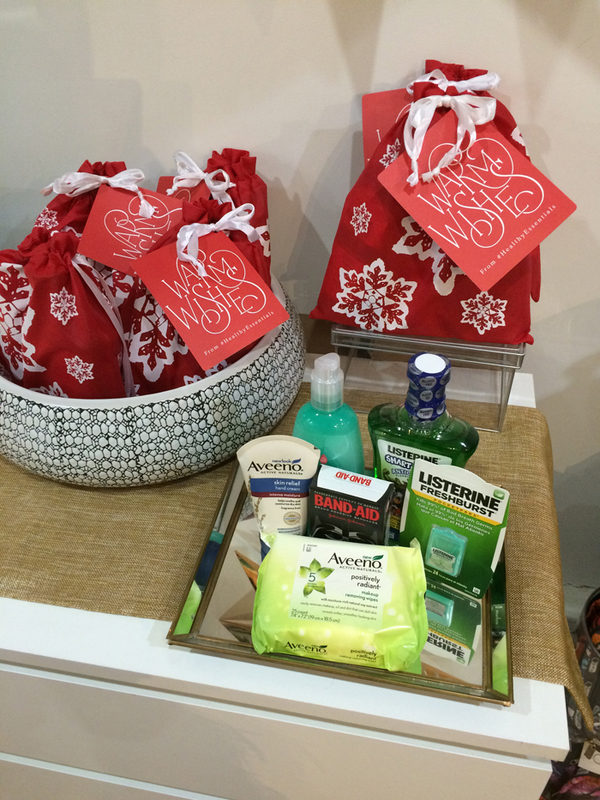 Guests also had the opportunity to win this great Stress Less Spa VIP giftset with even more fab products from Johnson & Johnson. 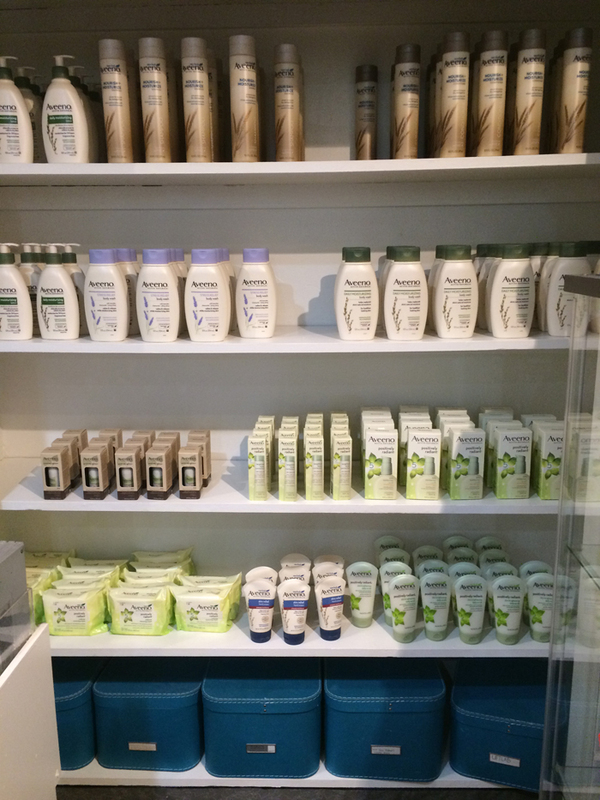 I couldn’t resist taking a few more pictures around the Caravan beauty lounge. 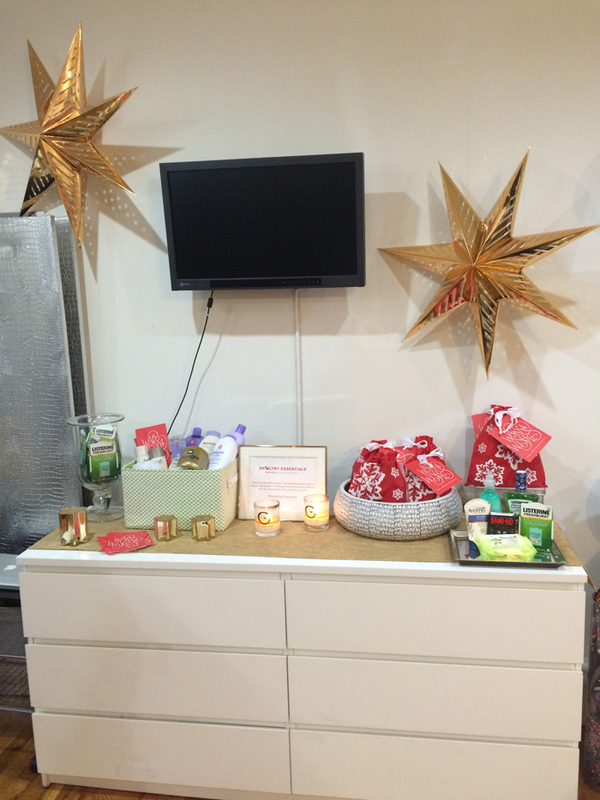 It's always such a dream experience to visit the Caravan team and be so pampered before an event! 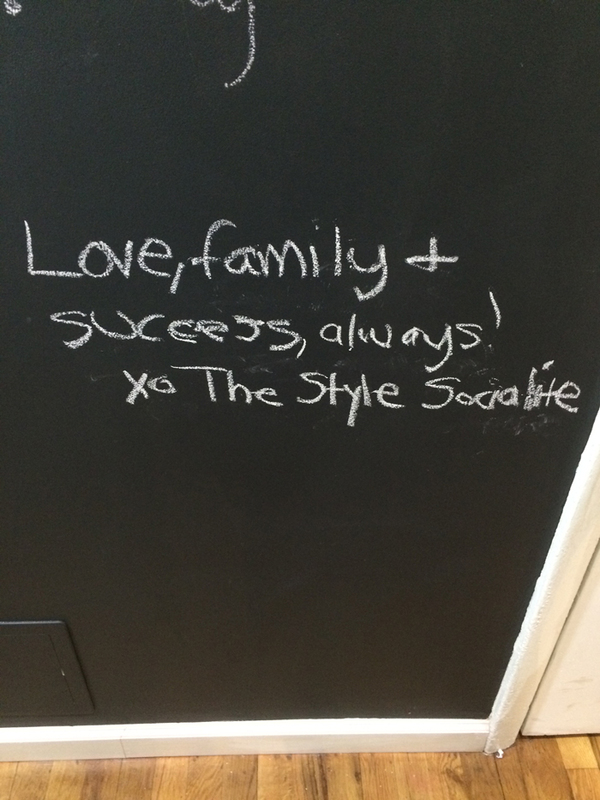 Before leaving I had a chance to sign Caravan's Holiday Essentials wall, which featured holiday well wishes from other influencers who came by the beauty lounge. Side note: (no pun intended) how cool did my half mohawk look?! I was so excited to see my friend Nora again. 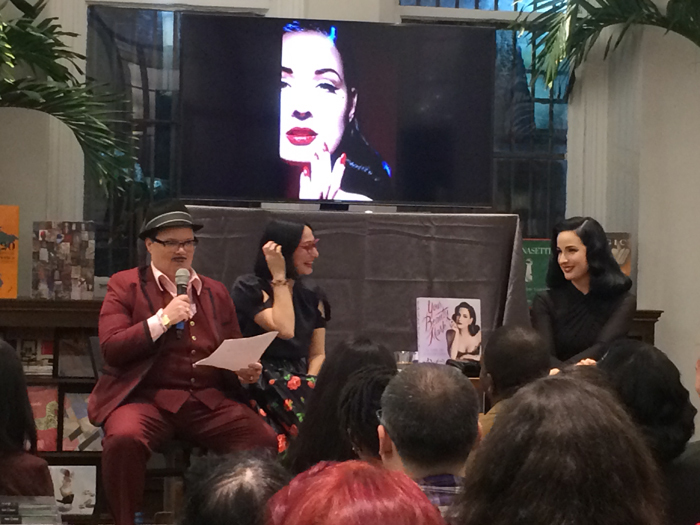 She had invited me to come with her to Dita’s book launch that evening. 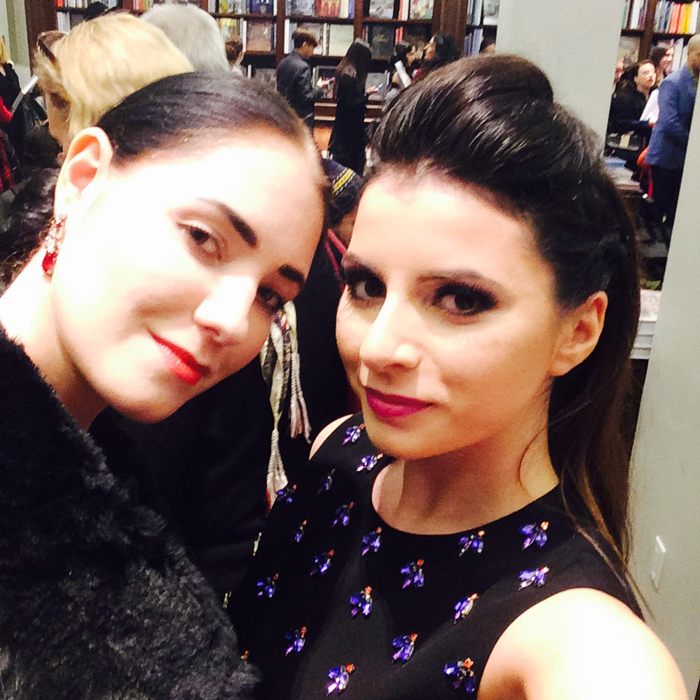 The last time we saw each other was at New York Fashion Week, so it was really lovely to hang out again. 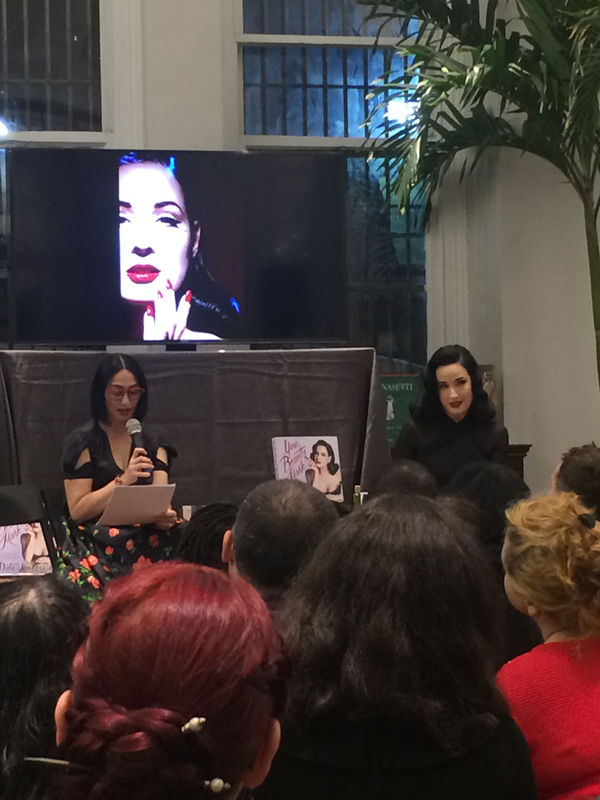 The Dita Von Teese book preview was just a few blocks away from Caravan. It was raining pretty hard outside so getting a cab was nearly impossible. Luckily Valerie sprayed my hair solid so I didn’t have to worry about it being damaged by the rain! 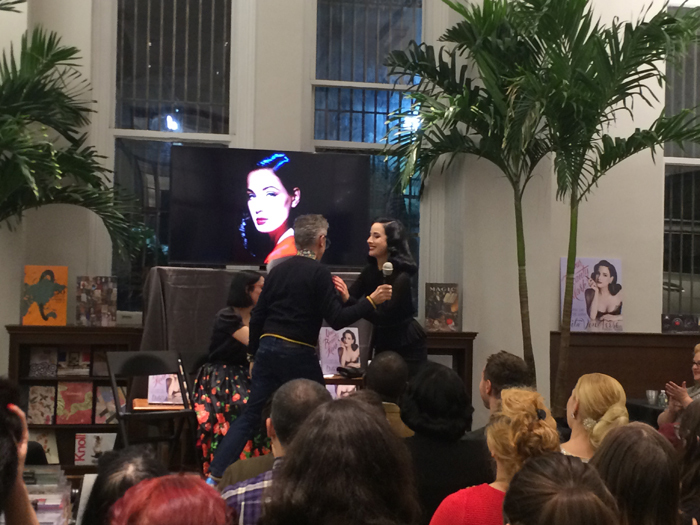 Dita Von Teese looked like the epitome of old Hollywood glamour as she talked about her new book Your Beauty Mark. 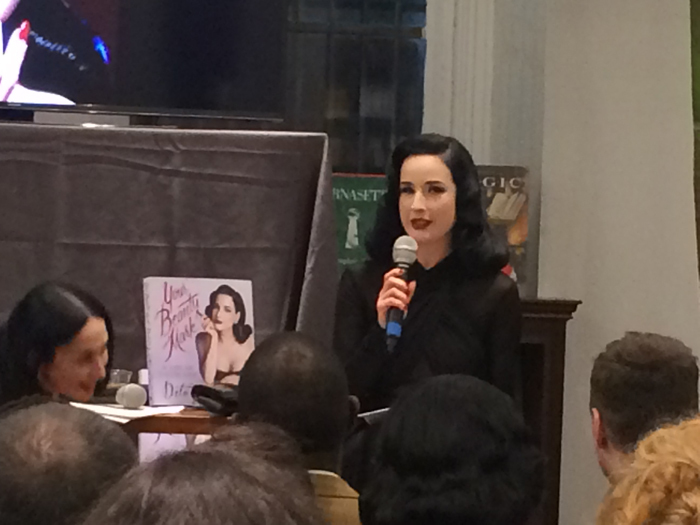 Douglas Little was another friend of Dita’s and one of the people who helped put together her new book. Based in Los Angeles, Douglas Little is a master of visual communication and storytelling. 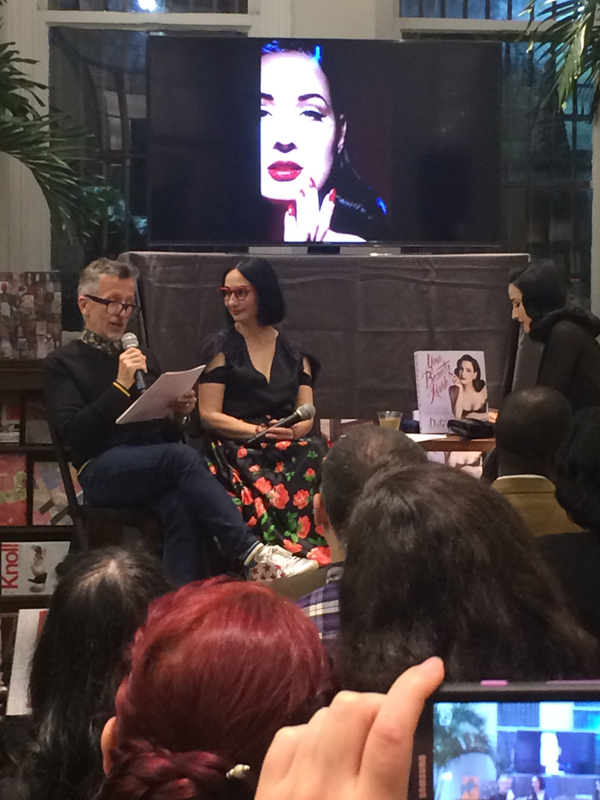 In addition to Dita, his client list includes Van Cleef & Arpels, Barney’s New York, Bergdorf Goodman,Maxfield Los Angeles, Neiman Marcus, Harry Winston, Jim Thompson, Mrs. John L. Strong, Ports 1961, Nasher Sculpture Museum and the Dallas Museum of Art. 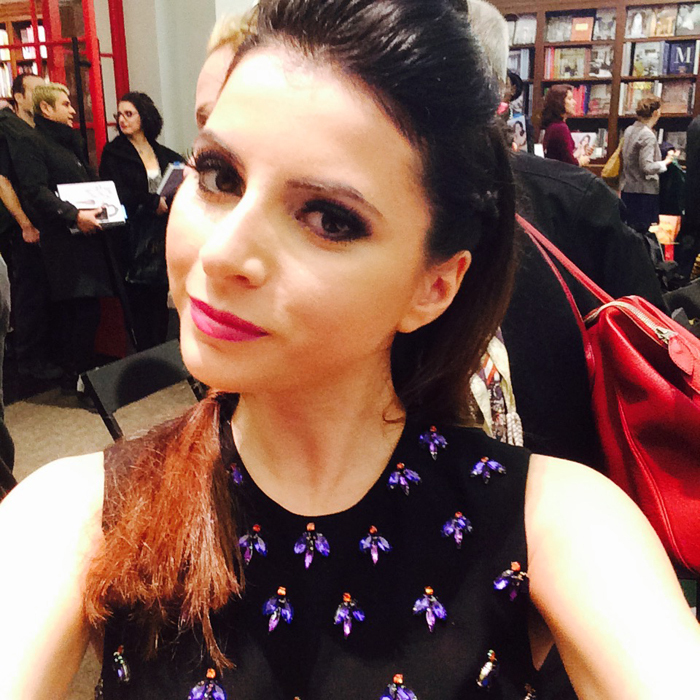 It was such a fun evening to experience, and to write about. 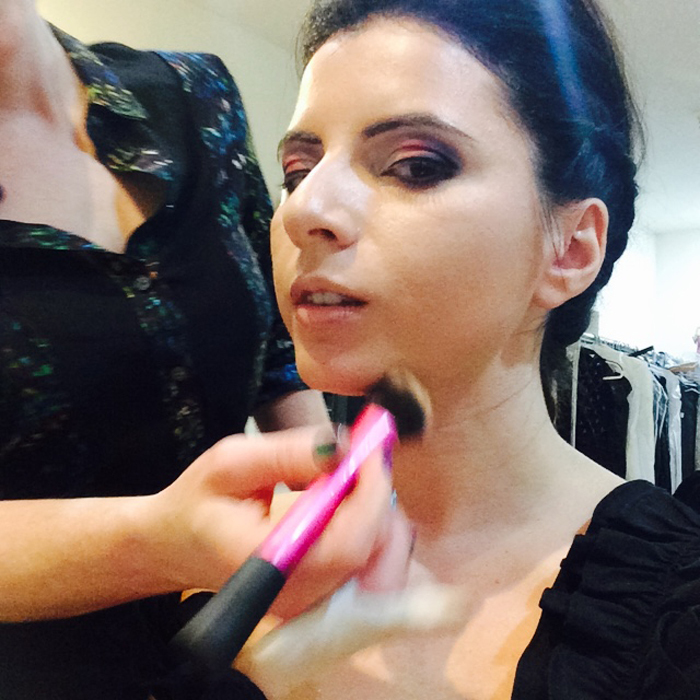 I didn't want to take my awesome makeup off or my feather dress! 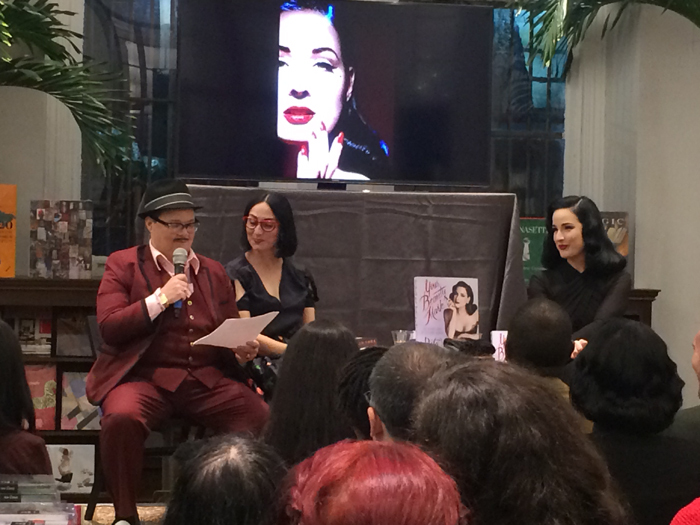 Thank you so much to Claudine and Valerie from the Caravan team for making me look so cool for the Dita Von Teese launch, and to my dear Nora for inviting me.